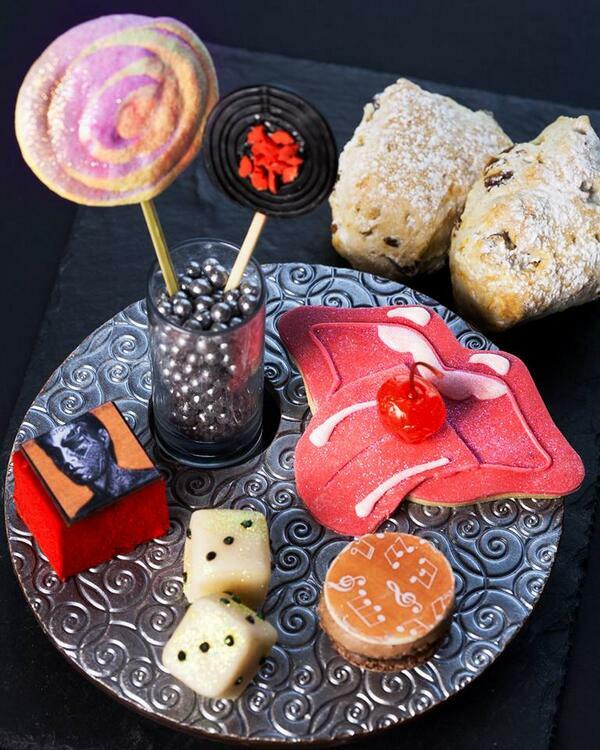 To celebrate the return of the Rolling Stones to Hyde Park, experience a one-off 'Rolling Scones Afternoon Tea', that offers Rolling Stones fans a four-course feast of exquisite treats inspired by the world-wide hits of Britain's most famous Rock and Roll band. Starting with freshly prepared open sandwiches, you are presented with a tiered stand offering freshly baked scones served with Stone strawberry jam, chocolate Swagger cupcakes and chart-topping miniature fancies displayed on an edible chocolate plate. All delicacies are freshly made by the hotels pastry chefs with the finest quality ingredients, including delicious Valrhona chocolate, 70% cocoa. Teas from Harney & Sons have been specially blended for Hilton Hotels, from Earl Grey Tea infused with lavender and blue cornflowers to White Tea picked at dawn.